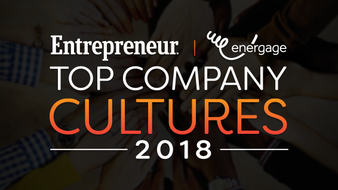 Entrepreneur magazine honored Verified First as one of their 2018 Top Company Cultures, acknowledging how the company drives employee engagement and creates a high-performance environment. At Verified First, expectations are clearly set and successes are frequently celebrated. If all departments exceed their monthly goals, the whole office celebrates with a party. This isn’t your typical cake-in-the-break-room office party. Verified First has done everything from renting out movie theaters to paintballing. They also celebrate an annual 'Treat Yo’ Self' Day, a fun twist on employee appreciation day, where employees are pampered with coffee, massages, and swag. Great company culture starts at the top and works its way down. 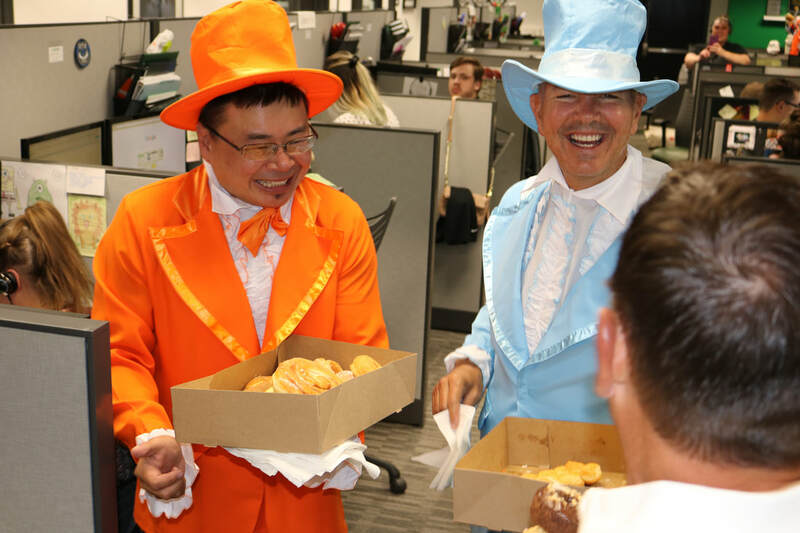 Owners Tommy Cheng and Devon Dickinson delivered donuts around the office for Treat Yo' Self Day 2018.